With Floyd Mayweather tentatively out of the way following his alleged retirement, there is a new king of the sports world in terms of earnings and it’s none other than the world’s most popular athlete Cristiano Ronaldo, who snaps the spot for the very first time. According to Forbes who calculated the world’s athletes earnings from figures gotten between June 1, 2015, and June 1, 2016, this is the first time in a decade and a half that a different person other than the aforementioned boxer and golfer Tiger Woods is topping the highest earners list. CR7’s top spot comes as no surprise as his Spanish club side once again leads the pack of the world’s most valuable sport teams 2016. Justrichest reviews the Top 20 Highest Paid Athletes in the World out of the 100 provided by the original Forbes list. Rivers in August 2015 inked a 4-year contract extension with the Chargers. The contract with a $83.3 million value includes a $22.5 M signing bonus and a $15 M 2015 salary. Well deserved for the man who topped in passes completed in 2015. Chargers fans who’ve had Rivers grace their team since 2004 would be seeing more of the quarterback as the contract includes a no-trade clause. Vettel parted ways with Red Bull with which he won his 4 championships in 2014 and inked a 4-year pact with Ferrari in the fall of the same year. The deal which is among the richest in F1 will see him bank not less than $40 million annually and additional pay for impressive performances. The German driver is one of the ONLY four drivers who have won not less than four driver titles. The 4th all time race winner has 42 career wins under his helmet. Wilson’s pro debut with the Seattle Seahawks was remarkable enough to earn him the 2012 Rookie of the Year award. The quarterback proved his award by leading the Seahawks to their first ever Super Bowl victory in 2013, and led them to the finals the following year, 2014. The team rewarded their franchise player who was earning $2 M with a 4-year, $87.6 M contract extension including a $31 M signing bonus. His amazing performance has earned him numerous endorsement deals with top brands like Nike, Microsoft, Luvo, United Way, Alaska airlines and more. Wilson who is currently engaged to singer Ciara owns Nordstrom clothing line. With 11 PGA Tour wins, McIlory is one of the only three golfers to accomplish the feat before the age of 25, the others being Woods and Nicklaus. His 2015/2016 $7.6 million prize money is a far cry from the $16.3 million he earned for the 2014/2015 season, plus but that hasn’t taken away his marketing prowess. 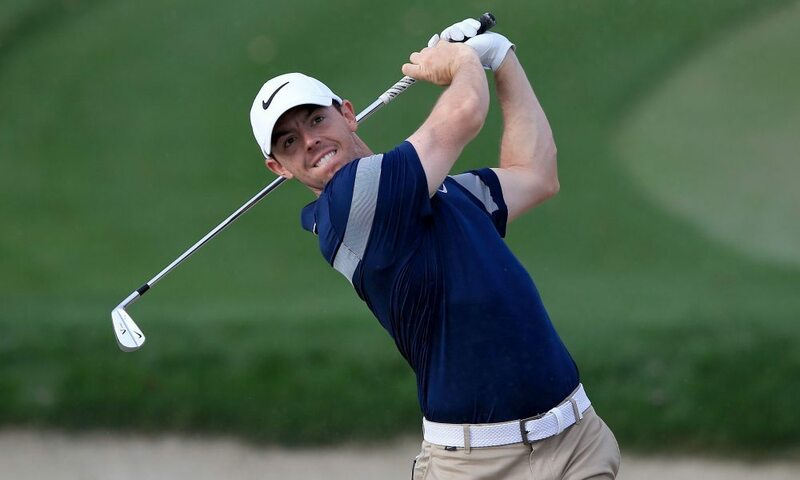 Rory counts Nike, EA, Upper Deck, Omega and Bose among his endorsements with the giant of them all being Nike’s $20 million yearly pay. 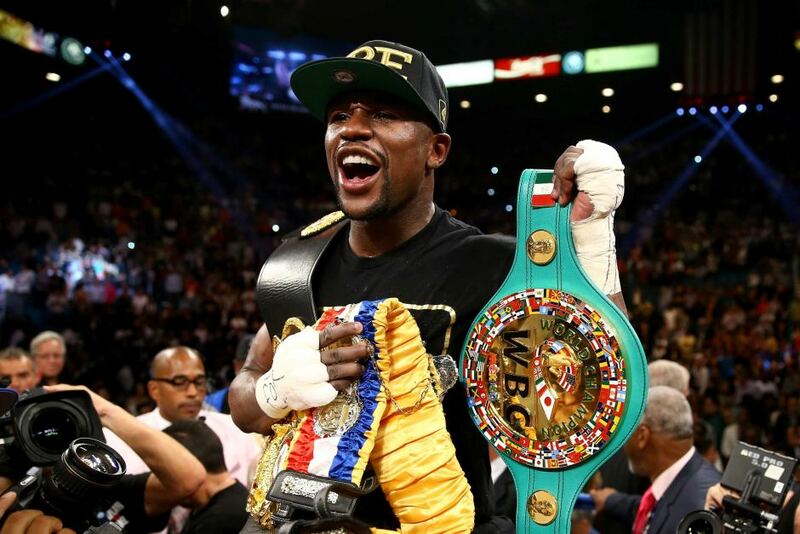 A three-time topper of this list, Mayweather made history last year earning almost $200 million from his highly anticipated bout against Pacquiao, but this year he’s been replaced by another, and may most likely never make it back to numero uno. Mayweather’s alleged “last fight” versus Andre Berto brought him $32 million raising his total career earnings to $700 million. Money made $12 million off the ring from his numerous appearances during his World Tour as well as from the sales of his TMT merchandise. Tom Brady’s endorsement income came from deals with UGG Boots, Simmons Beatyrest, Under Armour and the most recent Tag Heuer. The contract extension he signed in March included a $28 million signing bonus. According to Forbes the deal lowered his 2016 salary base from $9 million to $1 million and should the 4 match ban originating from the 2014 Deflategate scandal uphold, the deal will save him $2 million in game checks. The Baltimore Ravens quarterback inked a 6-year deal with the side after he led them to the 2013 Super Bowl victory. He recently extended his stay at the side to 2021 with a 3-year, $66.4 million deal. The deal included a $40 million signing bonus and an average annual salary of $22.1 million which is currently the highest in the NFL. With the retirement of his brother Peyton Manning, Eli’s career earning of $188 million is the highest among active players. He extended his stay with the New York Giants with a 4-year, $84 million deal which includes $65 million in guarantees and $35 million siging bonus. With endorsement deals with Toyota, Nike, Citizen watches, DirecTV, Gatorade and more, Eli can rightly boast as one of NFL’s most marketable players. Injuries and age have wanned Wood’s on course performance and even has him losing out on some endorsement deals but the 14-time major winner has got other plans. He is joining the rest of his aged colleagues in the golf design business. His first golf course based outside of Houston opened in 2015. Hamilton’s 44 wins makes him third on the all time win list. The 2015 F1 Championship winner extended his contract with Mercedes in a 3-year deal with a payout of over $140 million including bonuses. He bolsters his race track earnings with personal endorsements with L’Oreal, IWC, MV Augustra Motorcycles, Monster Energy and Bombardier. Kobe ended his 20-year NBA career at the end of the 2015/2016 season with a total career earning of $680 million from salary/bonuses and endorsement- the highest ever for a team athlete. Kobe was the highest salary earner in the NBA for 6 years ending with $25 million salary from the LA Lakers. Now retired, Kobe looks set to join the likes of Michael Jordan with his Kobe Inc which has investments in Body Armor and an energy drink company. Spieth made a massive jump from his last year’s position at 85 thanks to the two major titles he won in 2015. He became the youngest US Open champ, won the Masters tournament alongside its $1.8 million prize money and the 2015 FedEx Cup which comes with a $10 million bonus. The former world number one has an enviable endorsement portfolio that includes Coca Cola, Titleist, and Under Armor. Despite the alleged insider trading in Clorox stock and Dean Foods, Mickelson’s endorsement deals stand strong. Among Lefty’s endorsements are Rolex, Barclays, Exxon Mobil, and Callaway. The 42 PGA tour winner is the second all-time prize money earner with a total of $80 million. 2015 NFL MVP who led the Panthers to the Super Bowl 50 finals inked a 5-year, $103.8 million contract extension. His deal includes a $22.5 million signing bonus, and a $7.5 million option bonus. Under Armor last year extended their contract with him making him their highest paid NFL endorser in the process. In partnership with Belk department store, Newton launched his own clothing line called MADE which includes over 300 products. ATP’s World Number 1 at the 2016 French Open achieved a Career Grand Slam and also became the number 1 all time leader in prize money with a total of $102 million and counting. In 2015 alone, he earned a record $20 million in prize money. Djokovic endorses Peugot, Adidas, Seiko, Head, Uniqlo, and ANZ. Thunder’s small forward is the youngest scoring leader in NBA’s history with 4 scoring titles throughout his career. He makes more money off the hardwood thanks to various lucrative endorsement deals which includes a 10-year contract with Nike worth $300 million. In collaboration with Foot Locker and Neff, KD owns a line of underwear. He also endorses Beats, Sonic and Sparkling Ice. Djokovic may be the reigning champ, but Federer tops in overall earnings. And although he last won a Grand Slam title at Wimbledon 2012, he makes up for his low prize money with lucrative endorsement deals which include Mercedes Benz, Nike, Credit Suisse and Rolex. LeBron‘s biggest endorsement is his lifetime contract with Nike worth over $300 million which could pay him over $1 billion should he be able to move shoe sales after retirement. The Cavs small and power forward is the only player to sign a lifetime deal with the 44-year-old company. His strategy of signing short term contracts and resigning as a free agent has helped to increase his salary cap. King James has been described as a shrewd entrepreneur, he owns two media companies; SpringHill Production and Uninterrupted. He will be starring in a sequel to Michael Jordan‘s 1996 sports comedy Space Jam. The five time and current Ballon d’Or winner continues to rake in millions for his numerous achievements with the 2014/2015 treble winning side, Barcelona. Messi’s most lucrative endorsement is with Adidas which pays him around $10 million annually. His other endorsements are with Gatorade, Huawei, EA, Tata Motors and Gillette. Soccer lovers would recognize the above photo taken when Ronaldo scored the decisive penalty to give Real Madrid a record 11 UEFA Champions league title, his second with the club. This and more is why his contract with the club which extends until 2018 is worth $50 million annually in salary and bonuses. His plethora of social media followers only increases his off pitch earnings. Ronaldo is Nike’s highest paid endorser in soccer. He also endorses Monster headphones, Tag Heuer, and Sacoor Brothers suits. His CR7 line frequently churns out substantial income while his hotels are currently under construction.